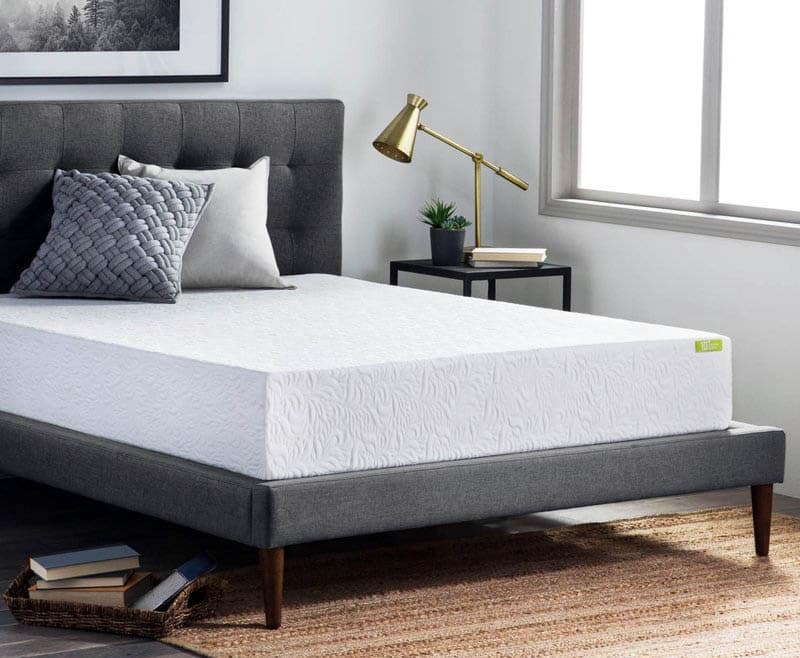 Here we share the most common types of mattresses including memory foam, hybrid, innerspring, latex, adjustable air and more to help you find the one that’s right for you. 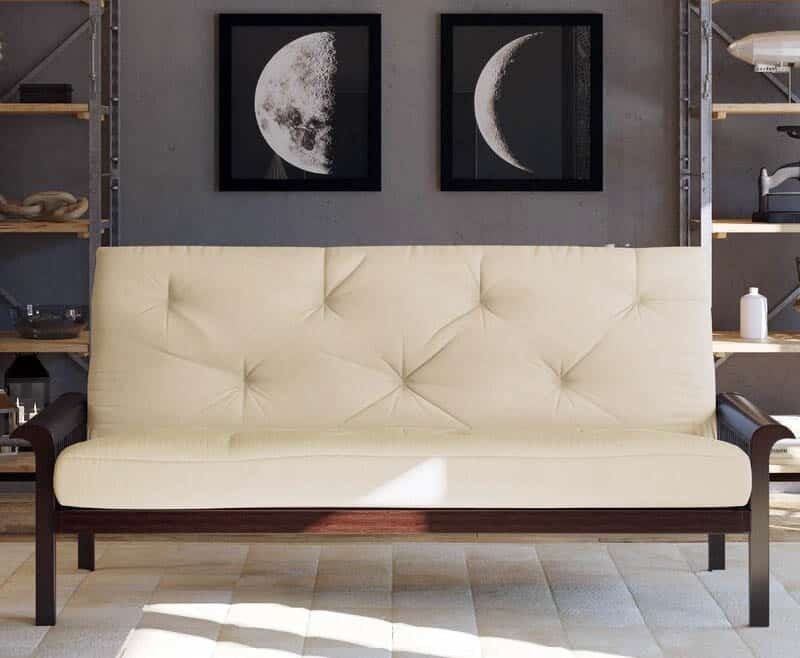 Mattresses are one of the most important pieces of furniture someone can buy, and there are so many different types! Whatever you chose will affect your sleeping habits, quality and how much time you wish to spend in bed. The firmness and softness will affect how your body feels and functions in days and years to come. To start you off on the right track the following are some types that you can choose from. Visit here for more about popular types of beds. There are a variety of different mattresses to choose from due to the fact that just one could not possibly work for everyone’s different sleep patterns. Different positions, body shapes, and desires will affect the softness, material and overall type of mattress that should be chosen. Some options are below, find the one that best suits you and choose the mattress accordingly. First, determine your sleep style; are you a side sleeper, a stomach sleeper, or a back sleeper? From there think about any levels of back pain or other body strain that comes from sleeping. Do you or your partner move around when they sleep, and does that effect one or the other? What sort of support do you think you will need? After determining the needs of the mattress you will need, read below and see if it lines up with what you THINK you will need. Commonly people pile high with mattress toppers and the softest pillows they can find, but sometimes that is the exact opposite of what they need, and what their body is asking for. The best type of mattress for side sleepers will be memory foam or latex mattresses. When sleeping on your side you make wake feeling sore or uncomfortable in the shoulders and hips, due to the pressure points and the lack of support the get in that particular position. Those points will compress which causes the discomfort. To relieve the stress from the body there needs to be and extremely soft surface to cushion the pressure from the hips and shoulders. The best type of mattress for stomach sleepers will be one with a high firmness, such as an adjustable air bed, this can be used to increase the firmness over time to avoid being uncomfortable. Sleeping on your stomach is typically the least recommended way to sleep due to the extreme strain it puts on the neck and the spine. Though this does help with snoring and sleep apnea it can cause back pain if not using the right mattress. The objective will be to avoid the stomach and hips from sinking in causing the spine issues mentioned previously. The best type of mattress for back sleepers will be a mattress that focuses on spine support. Generally those with back problems recommend either a foam or latex mattress for best results. While you may want to jump directly into the softest, comfiest bed you can find, it will be important to find a bed with support to avoid overextending your spine. If back support is not taken into consideration there is high potential to get lower back pain, which will make even the comfiest bed not advisable. The mattress chosen should be one that will prevent sinking into the bed. The best suggestions will be an innerspring mattress, hybrid, or and adjustable mattress with high firmness and support levels. When back pain is present it is extremely important to stabilize the spine while sleeping, and this can often relieve the back pain that may have been caused by sleeping. There are other solutions as well, including pillow placements and adjusting the way you sleep. This is a popular question that can vary depending on how often you use the mattress, how often you rotate it, and its overall quality. Generally, a mattress should be replaced as recommended by the Better Sleep Council every 7 to 10 years. Of course if your mattress is sagging or your box spring has broken slats it is probably time to buy a new one. As for lifespan of the type of mattresses it is generally believed that foam and latex models hold up better than innerspring models. Buying the right type of mattress can be one of the biggest factors, but does not need to be the only factor involved when it comes to discomfort or soreness from sleeping. Sleeping should be quality, and getting the right mattress is the first step in the right direction. Each type of mattress has specific pros and cons that may make one better than another. Below is a comparison to help you choose the right one for your needs. The innerspring mattress is probably the mattress you currently have and are looking to duplicate or replace. This is one of the oldest and most often purchased mattresses. Though they are the oldest, there have been some upgrades and additions made to keep these relevant and in competition with some of the newer products hitting the market. These mattresses will use a support system called the steel coil, making then extremely stable. There are two arrangements the coils can take, those being connected or wrapped individually. The connected type will be a bouncier mattress, since all the coil will go to the same unit. This is where you feel every movement on the bed. The individually wrapped will be the opposite, less bouncy and less able to feel every move another person in the bed may make. 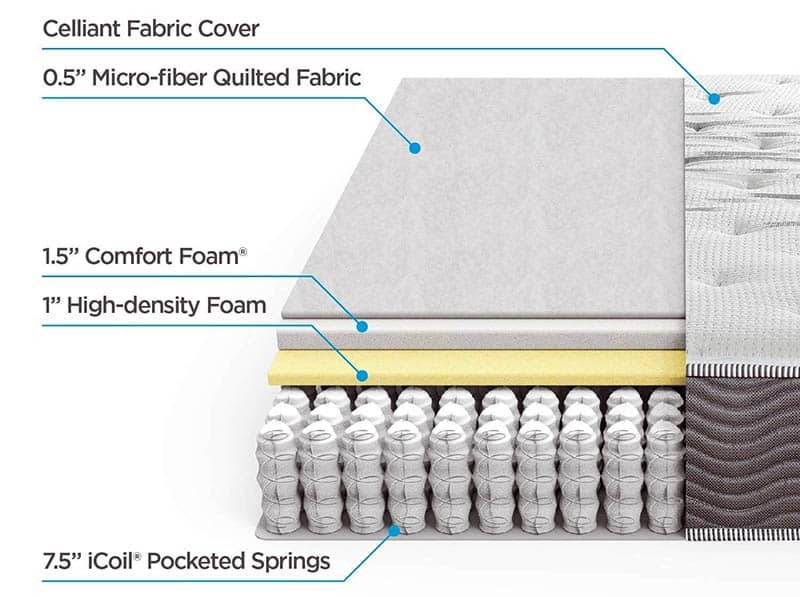 Unfortunately, innerspring mattresses are not resistant to dust, mold, or allergens. This means you will need to take extra precautions such as regular washing and reducing humidity. Innerspring mattresses will typically cost about $100 to $2000 depending on size, brand, and quality. As previously mentioned as the connected coil type of the innerspring mattress this type of coil will connect all to one part. This makes the bed bouncier and somewhat less desirable. This can make it more difficult to sleep if there are two people sleeping in the same bed. The reason this option is chosen is due to it being one of the lower cost options and are often used for children or in public places such as dorms, or furnished apartments. 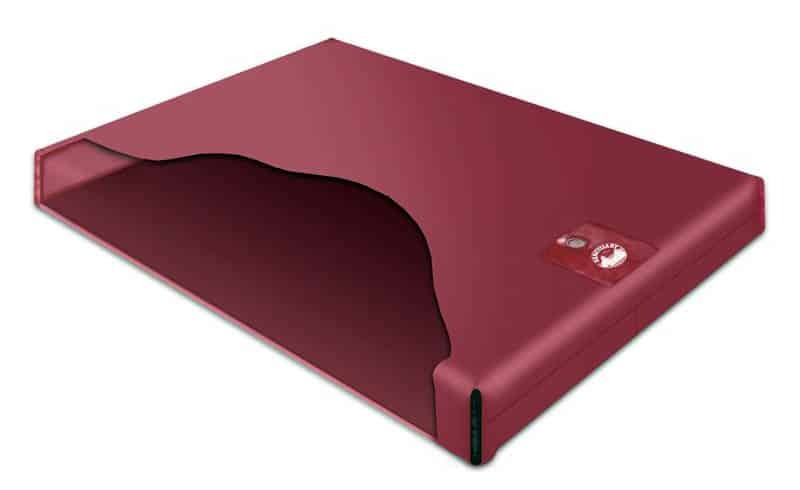 Pocketed Coil – The pocket coil or as mentioned before as the individually wrapped coil is in complete contrast with the connected coil mattress. These coils, as the names suggests, will act individually causing less of a disruption to a sleeping partner. For more support, there will be more coils added due to added points of contact. Memory Foam mattresses have become quite a bit more popular in recent times after it was invented to cushion space shuttle crashes. What the material does is evenly distribute the weight as well as taking the shape of the users body. It becomes softer with body heat, making it conform easier to the body as well as retaining the heat to make for a warmer bed. This can add comfort and pain relief for users. There are also features that will counteract that with gel-infusions to avoid overheating while sleeping. Another plus for memory foam mattresses is that they are mold and bacteria resistant. With all of these high quality features a memory foam mattress can run anywhere from $100 to $4000, based on size, brand and quality. The gel memory foam mattress, as briefly mentioned previously will allow the memory foam to have extra air flow and avoid a too warm bed. 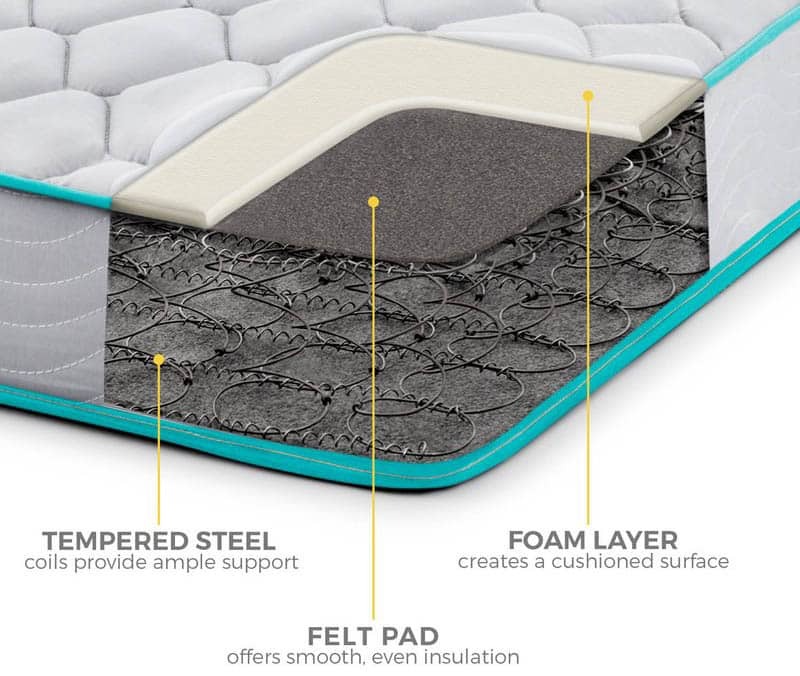 Basically, the mattress is set up with a bottom base support layer that is very dense to keep the mattress from caving in. Then there is another smaller support layer, with a gel comfort layer above that. Finally, on top of that is the comfort memory foam cover layer. These will be on the higher end cost wise of the memory foam mattresses due to the added layer and technology implicated. Latex mattresses were most popular in the 60’s and have progressed quite a bit in recent times. When they were first invented, they were an extremely expensive product to the costs of the materials being so high. These are still a higher end mattress with great materials, just recently technology has made them a little more cost friendly. Latex mattresses are most commonly sought out when environmentally friendly design is involved. Latex is a product that comes from petroleum materials as well as plants, making it a natural choice for a mattress. The materials are similar to the above mentioned memory foam mattresses in the support that it offers. This will help with any back pain as well and keep your body in alignment. Another plus for the latex material is that it will stifle most movement, for queens and kings this is helpful if a sleeping partner shifts a lot in their sleep. Many latex mattresses being manufactured today are a latex hybrid containing latex with an innerspring design. Just as the word hybrid means, a hybrid mattress will be a mattress made by combining multiple elements. A hybrid mattress will put together the best features from our favorite types of mattresses and brings them into one. 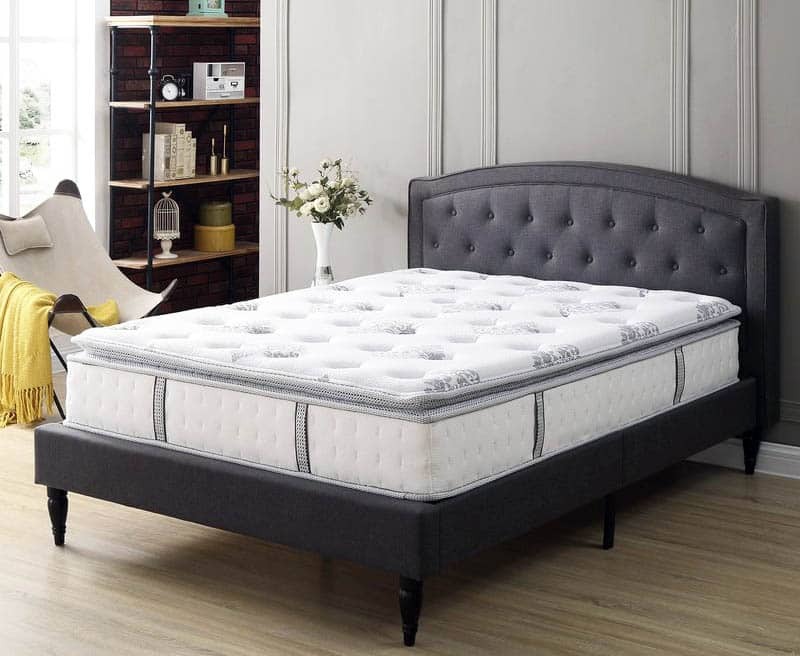 Incorporating the soft comfort that is a key feature for the latex and memory foam mattresses with the much needed support that the innerspring mattresses give, there isn’t a customer that will leave unhappy with a hybrid mattress. These have a vast array of options to choose from. Hybrid mattresses can be completely custom to the liking of the potential user. Most often a hybrid mattress will be made with the innerspring portion on the bottom, to support the other layers. Above that coils will typically multiple layers of memory foam or latex, which is where the customization gets good. Some of these will offer gel layers on the top, open cell structure, or even copper infusion, depending on the needs of the end user. An adjustable air mattress is not your average air mattress that you take with you tent camping in the woods. An adjustable air mattress will offer a high quality sleeping experience with easy mobility. These mattresses will also be adjustable on each side of the mattress so partners can have a unique quality to their sleeping. These mattresses will not say over time, just add more air! They look similar to the other mattresses mentioned and though traditional mattresses typically offer more support the adjustable air mattress is extremely helpful for people who move frequently or travel a lot. Keep in mind though that the more advance the air mattress you want the more the cost will go up. Popular adjustable air mattress brands are Sleep Number, Serta and Sealy Posturepedic. 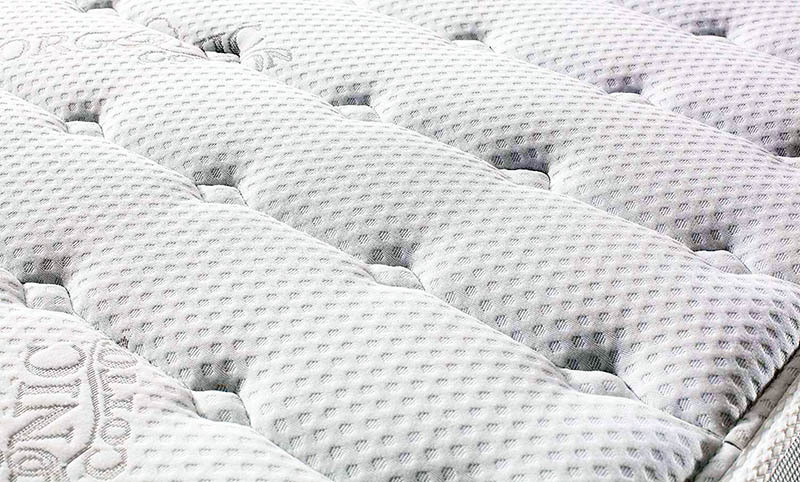 As all other things labeled organic, organic mattresses, too, will be as natural as can be. These are environmentally friendly as well and limit the exposure to chemicals and toxins making a safer product. Some of the natural materials that are most often used in organic mattresses will be: organic cottons, organic wool, recycled support coils made of steel, and natural latex. These will be very public about the organic products they use, especially if they are GreenGuard Gold Certified, which will be the best that you can get. With these factors in place that does drive the cost of the mattress up, but what is more important price or the environment and your safety? A futon mattress will be a mattress that also is used as a couch. This is often used in dorms and small apartments where sharing space between people as well as sleeping space and living space is a necessity. While futon mattresses will often be quite firm, they also will need to be flexible to fold and become a couch when needed. These can be made out of a number of different materials including foam, innersprings, polyester, or cotton. Waterbeds were all the rage back in the 70s and 80s but now are a thing of the past. These beds are still available for purchase but are a lot less common. Waterbed are made using, you guessed it, water. There are chambers of water that will be either soft sided or hard sided. If you chose a hard sided chamber it will be surrounded by a rectangular wooden frame and then covered by padding and upholstery. Soft sided chambers will be surrounded by rectangular rigid foam frame instead of wood, also covered with padding and upholstery. Another option and the option most minds go to when thinking of a waterbed is the free flowing chamber system. This gives an ocean motion that allows the water to flow through the chambers. For a step down with a little less flow there is a waveless option that reduces the flow compared to the free flowing version. While a unique choice, waterbeds are pretty inexpensive meaning if interested trying it out would not hurt! With new advances, technology is taking over everything, sleeping included. There are smart mattress technologies that include features such as tracking the user’s body temperatures, movements, breathing and heart rate. The technologies will use the data they collect from the user’s body so that it can create adjustments while you are sleeping to make the optimal sleep quality for the users. With added functionality though come an added price tag. Hopefully as times progress and these become more popular the price will go down to make them a bit more affordable to the average buyer. Another interesting development for mattresses are climate control units. 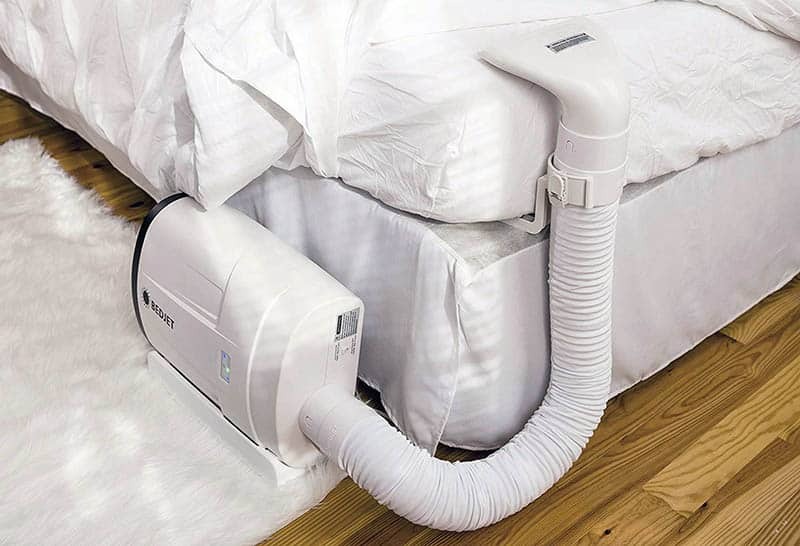 These devices through the use of a ventilation system can heat or cool the bed depending on your specifications. Some even have a built-in aromatherapy diffuser to utilize your favorite essential oils. Narrowing down to two mattresses is a big feat, now just to debate between the two of them. One option can be to use a little bit of both and create a hybrid mattress. This is especially helpful if two partners cannot make up their minds about what sort of mattress they will need and they can join forces and both make a compromise for optimal comfort and support. 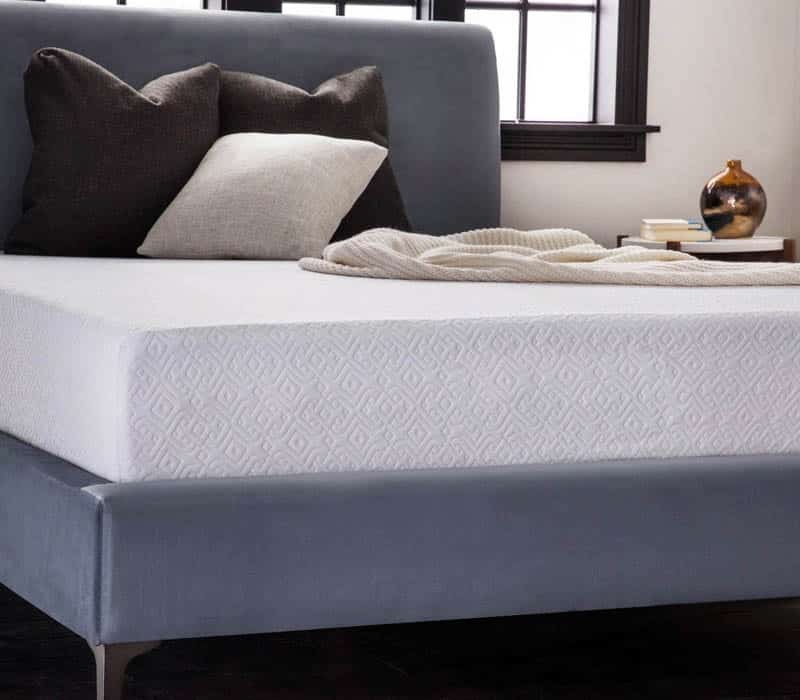 If hybrid is not for you and you are debating between an innerspring and foam mattress, here are some comparisons done between the three most commonly used mattresses, and the ones you are most likely debating between, to help weigh the pros and cons of each. Innerspring mattresses and memory foam mattresses are basically opposites, they offer extremely different features and will most likely speak to completely different people. While both are quite good options it always depends on the users body and preferences. Testing out beds in the store can also be a good way to see which type feels best to you. Innerspring mattresses will focus on support. These types of mattresses will be good for people with back problems or potential back problems. When properly supporting the spine stress is taken off which can relieve the back pain that some people feel if they do not have enough mattress support. This will most commonly be people that sleep on their backs. Unfortunately innerspring mattresses will not be resistant to things such as mold, mildew, bud bugs, etc. This can cause an issue especially in places that are susceptible to things like this. In contrast, memory foam mattresses will focus on comfort and conforming to the body. This is often the mattress everyone thinks they want. In theory the more comfortable the better, right, well that is not the case every time. For side sleepers, memory foam mattresses are great, but as mentioned previously back sleepers may prefer something with more support. 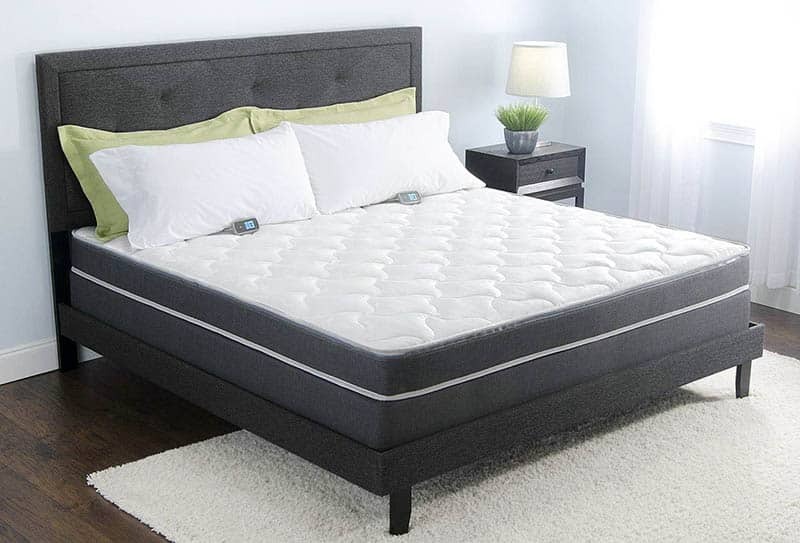 Fortunately, these memory foam mattresses will be resistant the things that the innerspring mattresses are not, which makes them a better option in situations that will need mold and mildew resistance. Memory Foam mattresses will also be able to manage body heat quite a bit better than it’s innerspring competitor which can be added with different features that are mentioned above. Latex and memory foam mattresses have a good portion of similarities when it comes to features, but they are two extremely different choices and here are some side by side comparisons of the two. A latex mattress will be one of the more environmentally friendly options available using natural resources and petroleum to create the mattress. Unfortunately this will cause the costs of the mattress to be higher due to the costs of the materials also being higher. 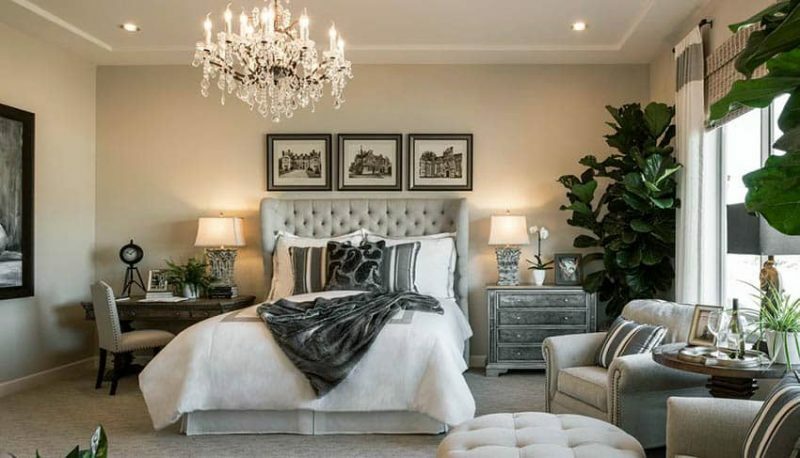 In contrast, memory foam mattresses are loaded with harsh chemicals and do not use very environmentally friendly materials when it comes to the construction of the mattress. 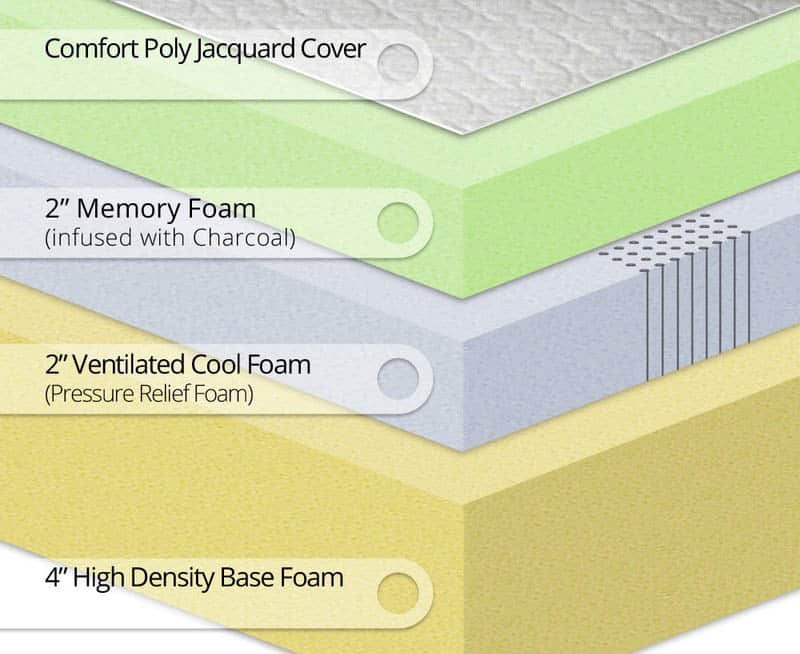 In comparison to the latex mattress a memory foam mattresses will outperform, which is why the materials are chosen, despite the lack of care for the environment. Memory foam mattresses will also be more cost effective than the latex mattresses. Other than the above mentioned differences the latex mattress and the memory foam mattresses will have similar comfort and support qualities with, as mentioned, the memory foam slightly outperforming the latex. The two types of mattresses are similarly composed and are able to stifle movement pretty well. There will be a variety of different options when it comes to sizes of mattresses and these will be universally used throughout different brands and locations. Based on the bed size desired, your room’s space, amount of people using the mattress, and what type of sleeper each user is will be a determining factor for the size of mattress needed. Make sure to measure any doors or archways that the mattress may need to be brought through to get to the desired space to make sure that it will fit through. Each mattress will be best used in a different situation; the sizes are as follows. Twin – A twin size mattress will typically be 75 inches long by 38 inches wide. These are meant for one person, usually a child or young adult. A twin sized mattress is one of the smallest mattresses available. These mattresses are the ones that will most commonly be used in bunk bed and day bed applications. A variation of the twin mattress is the twin XL mattress, which adds an extra 5 inches to the length of the bed. This feature allows for tall teens or college kids to still be able to use twin sized mattresses without their legs hanging off the end of the bed. Full – A full sized mattress will be 54 inches wide and 75 inches long. A full is also commonly referred to as a double mattress. These are often used for a singular people that is looking for some more room to spread out. These are most often placed in college dorms and apartments as well as guest bedrooms. Full sized mattresses will be as short as the twin sized mattresses therefore they, too, have an XL option giving an extra 5 inches in length for extra foot room. Queen – A queen sized mattress will measure 60 inches in width and 80 inches in length. This mattress size will be one of the most commonly used mattresses due to the longer length and space for one or two people to sleep atop it. This will most often be used with couples or in guest rooms as well as hotels. King – A king sized mattress will measure 76 inches wide by 80 inches long. 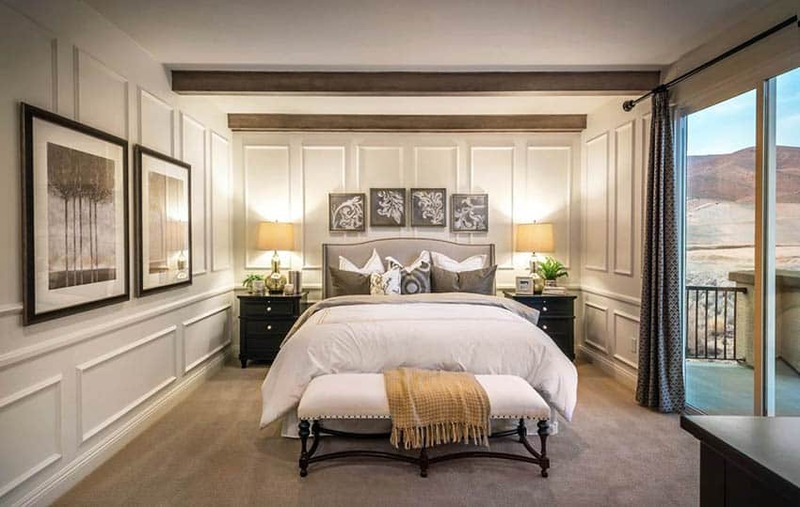 This being one of the largest average types of mattresses is commonly used in the master bedroom due to need for space. The kings sized mattress is double the size of a twin, which gives plenty of space for two individuals to share. These are also commonly used in hotels, this is so that in case the individuals sharing are not a couple, they do still have some personal space. 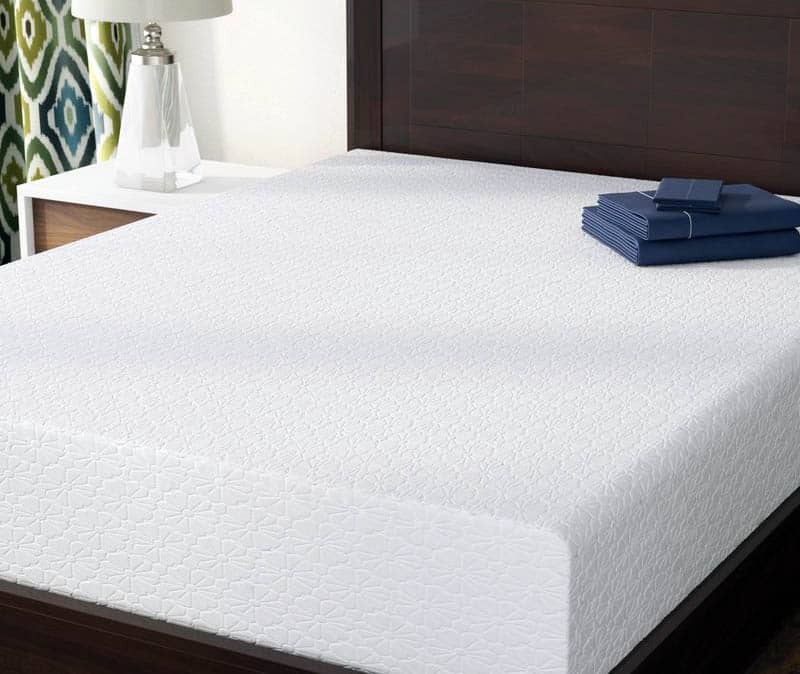 California King – The California King mattress is a sort of spin off of the regular kind, adding an additional 4 inches in length and taking 4 inches or width. This helps with space issues a regular king sized mattress may come across as well as is beneficial to any taller individuals. This is often used in oversized bedrooms and rooms where the couple sleeping in the bed plan to have a small child or animal joining them, making space for everyone to comfortably sleep. While the king and California king mattresses are the biggest of the typical mattresses, there are a few oversized mattresses that can be specially ordered. 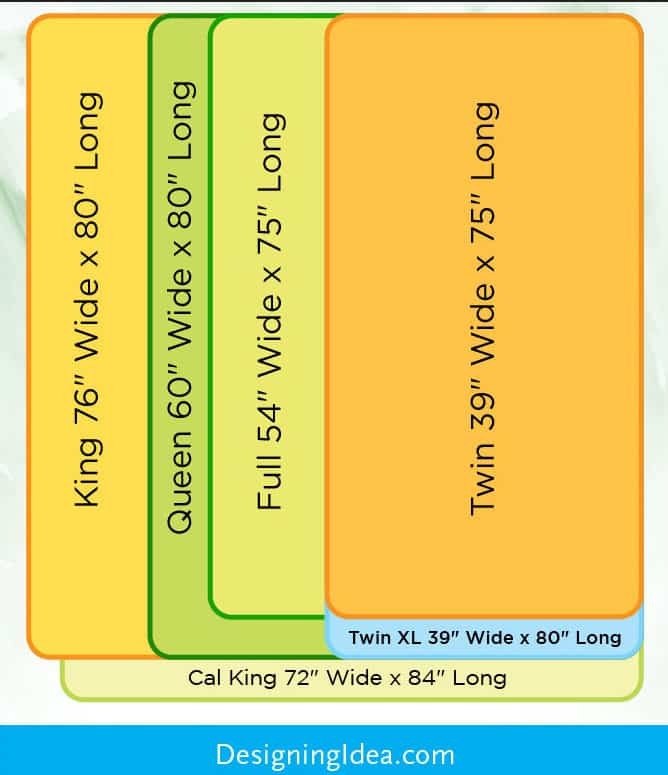 The Wyoming king will be 84 inches in both length and width, adding the extra 4 inches that the California king took away making extra room to share the mattress with pets or small children. The Alaska King though is something of a sight to see. The Alaska king is a whooping 108 inches in both length and width, offering space for up to 4 people. You’ll want to be sure you can get one of these through the front door before you buy it! Box Spring – Another item you may need to thing about is a box spring to go with your new mattress. This is a must have if you are getting an innerspring mattress. This will save the bed and make it last longer. Other mattresses as mentioned about will have built in support and will not require a box spring, but some with warranty will require you get the box spring as well. Based on that you can decide if you personally will need one or can make do without, though it is typically recommended to get a corresponding box spring. Other options can be: having a platform bed or getting adjustable bases for the bed. A box spring can either be 5 to 5 ½ inches tall or 9 inches tall. They are made of wood and shaped like the mattress that will be placed atop it. There will also be springs inside the wooden mattress shaped box. Budget- Budgets will make or break any purchase, especially when sales people are involved. It is always important to remember what your budget is and to stick to it! Sometimes, when trying to avoid the pesky sales of additions and extras it is helpful to shop online. Make sure you know your budget before starting to look and make sure you consider all extra features you will need. Occasionally, with larger priced items like these, there will be room for negotiation, which can save your budget. Knowing competitions prices as well as similar models can help you have a bargaining chip to get a better deal. Often sales people want to make the sale and can pull some strings to lower the price if it gets you to make a purchase. Delivery- The delivery fee will be an extra cost to the mattress itself and are commonly pretty expensive. The delivery people will install the mattress right where it needs to go and take care of the entire thing, which is extremely helpful, but if there is any way to do it yourself it would save a pretty penny. When it is delivered, be sure to check it out to make sure there isn’t staining or any sorts of damage that could have happened in production or transportation. This will save you in case there needs to be any claims in the future. Warranty- When purchasing anything of value or large price, such as a mattress, it is always good to consider extra warranty. Most retailers will have a warranty built into the product when purchased. This can be anywhere from 1 year to 25 years, meaning taking a look is definitely worth your time. Often retailer warranties will only cover minimal things such as coils that are broke or loose. Things that would have been an error in manufacturing versus something that wore out over time. Typically, the more advanced a mattress is, the less things will be covered by warranty or the more expensive it will be to get the warranty on the mattress. Return Policy- The return policy on mattresses is another thing you want to inquire about before purchase. They often have thing called “comfort guarantee” that will be pretty vague on the actual length of the coverage. Sometimes the return policy will charge certain percentage of the purchase as a restocking fee as well as delivery fees back to the store. Some though will have they perk of not doing that which is what you will want to look for when asking about the guarantees and return policies. While we have covered the most common types of mattresses and buying considerations there are still a vast array of options and customization available to you. We hope this guide was helpful in narrowing down your choices to find the perfect mattress for your needs.